This site is here to share a collection of items from Austin, Texas history. 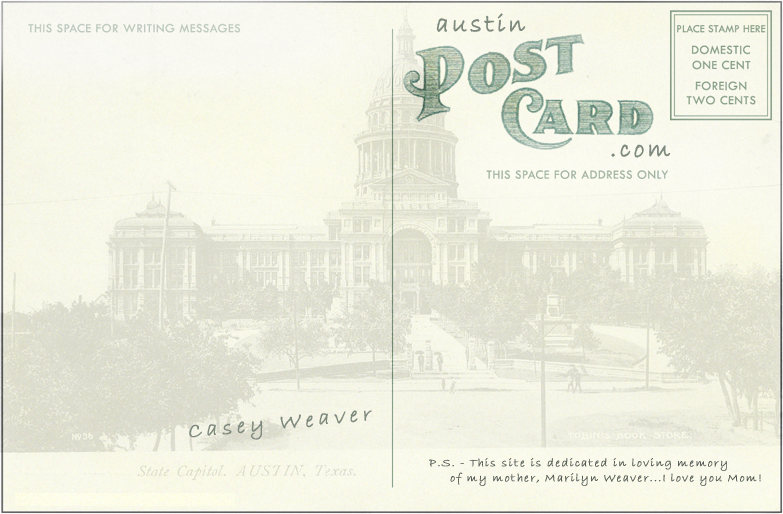 The site is built primarily around my postcard collection, but will also house a growing assortment of photographs & ephemera relating to the people and places of historical significance to Austin, Texas. Please check back often to see what new treasures show up! Hopefully, you will have a lot of fun exploring this site and you might even learn a little something in the process. If you have any information or items you would like to share please send me an email at info@austinpostcard.com.